I d’ont know how to fix it or wich parameter I can change for seeing everything. 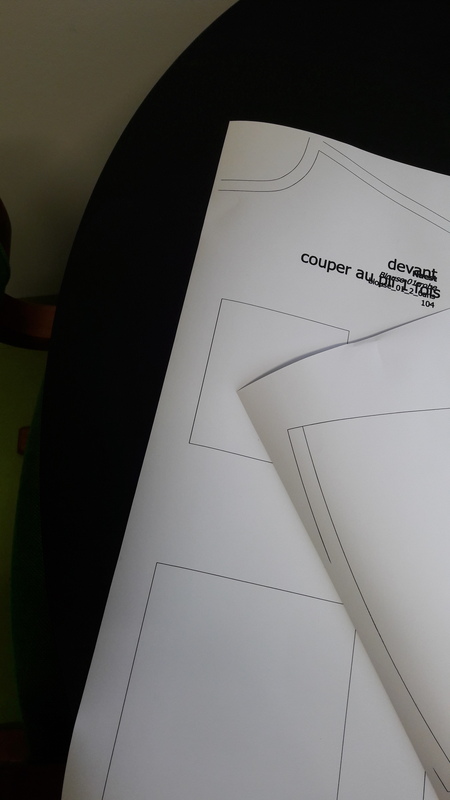 It seems to me that there should be another page that needs to be attached next to those ones, the paper is too narrow for the pattern. Perhaps look through the pages in preview and check if that’s not the case. You need to increase the margin size. I suggest that you increase it on all sides (left, right, top, bottom) Try using 1.0 as the value for each. This is larger than you really need, but you can experiment with it. To see that page, you must exit seamly, restart seamly, open the pattern, and select the Layout mode at the top. Hello, no it is not possible it’s roll or paper is it ok and i did not have this problem before. Do you have another idée? @lilou do you prefer to speak French or some other language besides English? Unfortunately I do not speak well in other languages, but there are others here who do and may be able to help. Please pardon the probably bad translation which was provided by a machine. Tu préfères parler le français ou une autre langue que l’anglais? Malheureusement, je ne parle pas bien dans d’autres langues, mais il y en a d’autres qui le font et peuvent être en mesure d’aider. Veuillez pardonner la traduction probablement mauvaise qui a été fournie par une machine. I know just enough to know there is a difference between “tu” and “vu”. Please pardon the machine and know I mean no disrespect. Je sais juste assez pour savoir qu’il y a une différence entre ‘tu’ et ‘vu’. S’il vous plaît pardonnez la machine et sachez que je ne veux pas manquer de respect. Other than that, perhaps you could upload your files (both .val and .vst) so that we can try a few things to try and help you. as always, @Grace, good job on the tutorial pdf. I have one thing to point out that I did not say and I did not see in your tutorial. The settings that you use in the layout are NOT settings for your own printer. The layout must use a paper size that is big enough to hold the full pattern. 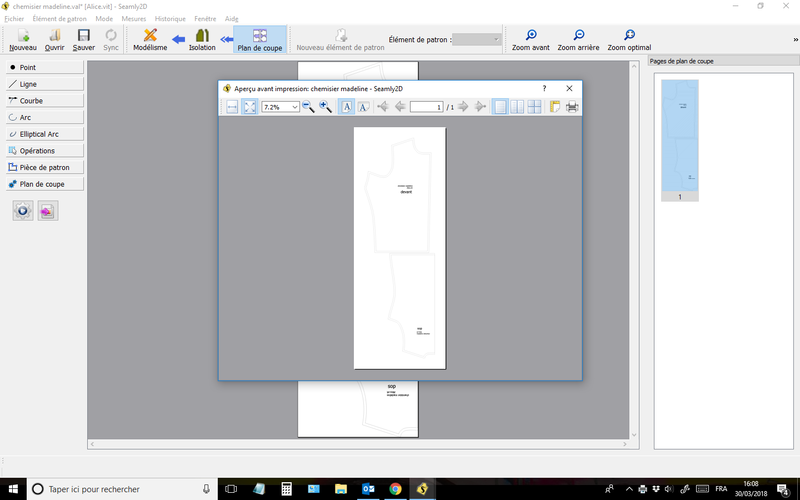 (That is why I am fond of using a “roll” paper size) After the layout is generated, you will used tiled printing to print it on your own printer. @Grace and I both use desktop printers so the paper is letter sized and must be fastened together. Well spotted, @kmf. I also use the ‘roll’ paper. That tut was written before I discovered the advantages of using the roll paper setting. I do not understand the problem. Even by changing the margins, printing does not work. I have no explanation or solution. I tried to change different settings, but nothing works. And I do not want to print on A4 bat roll A1 Do you get to know where the problem comes from? AND why did it work with the previous version? Can you, perhaps, send me you .val and .vst files, please? Then I’ll be able to see what settings you are using and try a few things ti see what can be done. Rolls of paper need quite big margins to keep the paper lined up straight on the sides and also at the top so that the printer can grab the paper and feed it through to be printed on. 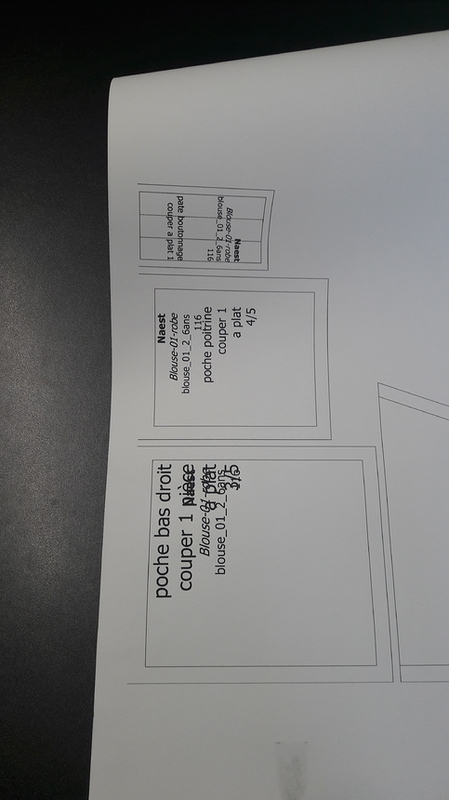 The bottom as well so that an area is available to cut off the printed portion. 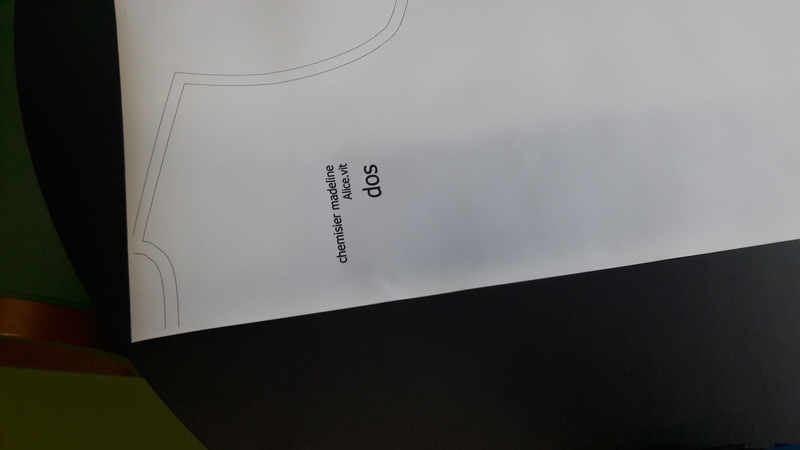 I see your printer margins are set to 0.
yes I know, I have tried with 3 cm of marges, it is the same. Put it up to about 7cm or 10cm and work down from there, if it works. Maybe try printing to pdf first? I tried but I can not adjust the print on the pdf reader. In addition, as I print a lot, it requires a lot of manipulation to print in pdf before. What I do not understand is why with the previous version I had no problem. I am also looking at the settings of my printer without success. It’s really very strange. The only thing I can suggest is that you go back to the previous build that did work properly for you. I’m hoping that one of the programmers will see this post and find a solution or the cause of this problem. 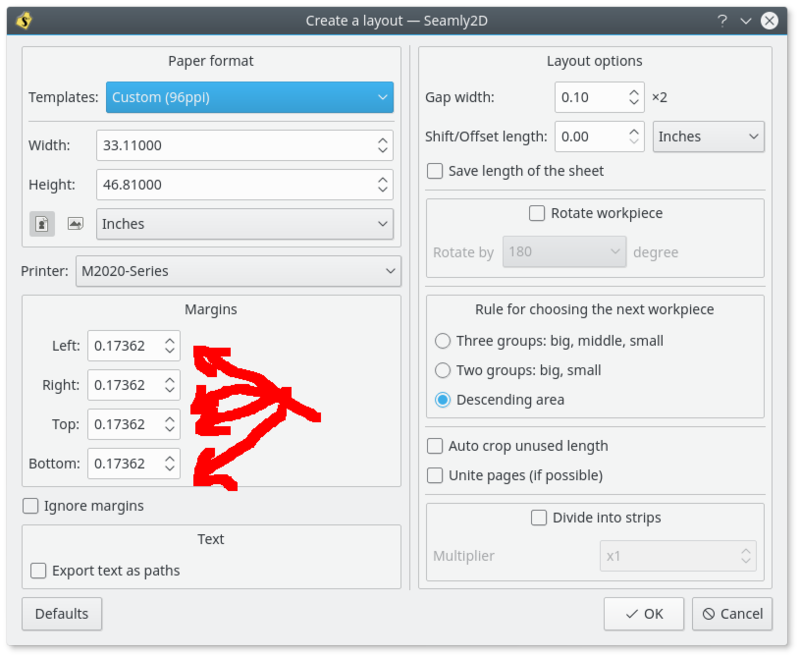 @lilou if you can click the “Help” menu at the top of the Seamly2D screen and select the “About Seamly2D” from that menu you will get a window that looks something like this: . If you can post a screen shot that will help a programmer understand which version is not working for you. Also, the program is confusing. 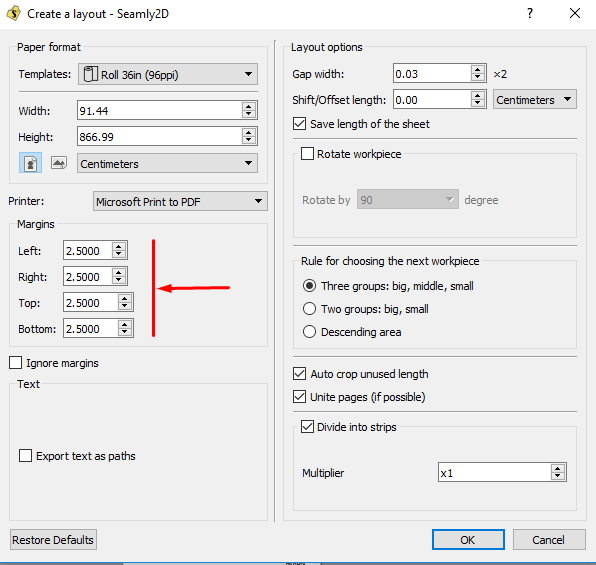 You have to choose a paper size big enough to hold the whole pattern when you create the layout. This is NOT necessarily the paper size in your printer. You can use tiled printing to print the pattern onto A4 or letter AFTER you have created the layout.